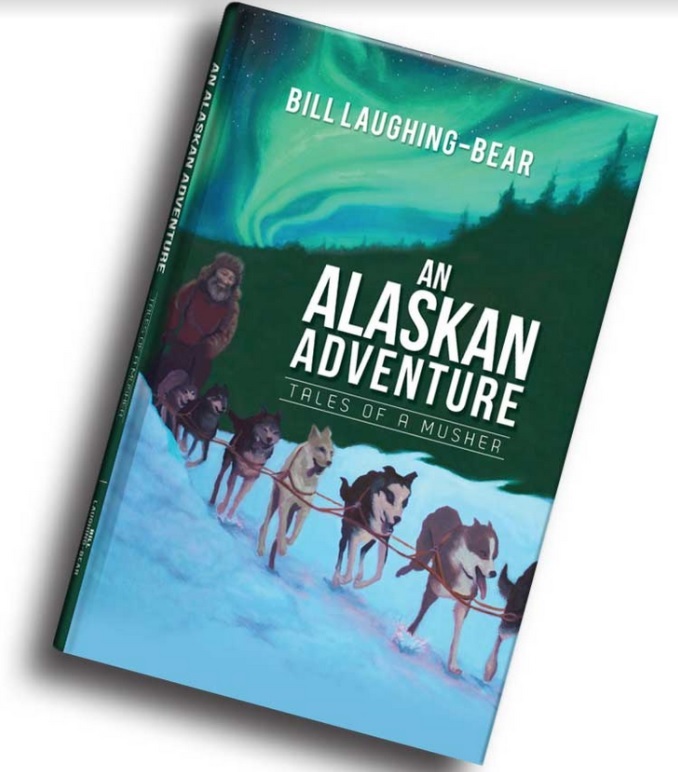 In his research, Bill, who works with professional dog mushing teams in Alaska found 13 of the dogs died of different kinds of cancers over a short period of time. "These dogs were not of the same breed or family lines." When he and a colleague started looking at the overall picture, they realized their own cognitive function had begun a downward spiral around the same time the dogs started to become ill which coincided when analogue meters were replaced with smart meters to deliver electricity to our homes. "All the dogs that died of cancer were in close proximity to my smart meter." "Not only did I invest in the reference materials where I obtained the facts written above, I bought professional grade meters to start monitoring things myself." "Doing this, I started having people feeding me information and asking me to come test their home and work environments to see if any of the four distinct types of EMF (Electro Magnetic Field) were affecting their environments." A prime example: "One of the men who contacted me in Anchorage, Alaska, lived in a quadplex." "The four smart meters for all four units were on the outside of his bedroom wall which was six inches thick." "On that wall, there was a padded box built for his dog to sleep in and above that a padded box for his cat to sleep in." "The first full day the meters were switched on, his pets started acting odd." "He did not feel well himself." "The second day both pets were extremely sick as well as he himself was." "The third day, both pets died." "He had to abandon his bedroom." In November of 2009, a groundbreaking study of the history of electrification of the U.S. was published. Professor of Medicine Dr Samuel Milham, MPH, and one-time chief epidemiologist at the Washington State Health Department looked at when 48 states of the U.S. were electrified. He also compared the urban populations that lived with electricity and the rural areas, which did not have electricity, which led to his discovery that most of the twentieth century diseases of civilization, including cancer, cardiovascular disease, diabetes, and suicide, are caused by exposure to the fields emanating from electrical wiring. Radio Frequency (some times called microwave, or RF) – high frequency radiation (MHz to GHz range), such as TV broadcast, microwave oven leakage, wifi, and cell phone signals. Dirty Electricity – kHz range frequencies (very biologically irritating) Know to many as polluted electricity which travels on the building wiring (usually resulting from the use of smart meters due to there switching power supply) that switches between ac-dc, and other devices such as dimmer switches, plasma TV’s, transformers, and compact fluorescent bulbs) Dirty electricity from smart meters in effect turns all your buildings wiring into a huge antenna which transmits an electrostatic field charge that bombards your body inside this antenna cage, the building your in. For safety standards anything over 50 (GS) is band in many countries around the world. 50 (GS) unites is roughly 2 kHz. When you go over 30 (GS) the electricity can be absorbed internally into the human body as energy dissipates into the human body at 1.7 kHz. EMF’s are biologically active. All the atoms within our bodies react to the presence of electro-magnetic fields. Hundreds of scientific studies now exist showing the harmful effects of EMF’s on: Individual atoms and molecules in our bodies, such as DNA, Calcium, Mercury, and hormones. Using Darkfield Microscopy to view blood cell behavior, and cell wall health, smart meters always show a compromised view of cells unlike analog meters. One sees things like in cell degradation such as broken cell walls, bottle-capping formation of the cell walls, or blood cells stacking up which prevents the cells from delivering oxygen. And not only are cell membrane damaged but cellular structures such as the, mitochondria, and nucleus as well. Organs and tissues like the cornea of the eye, the heart, pineal glands, reproductive organs, and nerves are compromised. In all cases the human energy fields are obliterated. 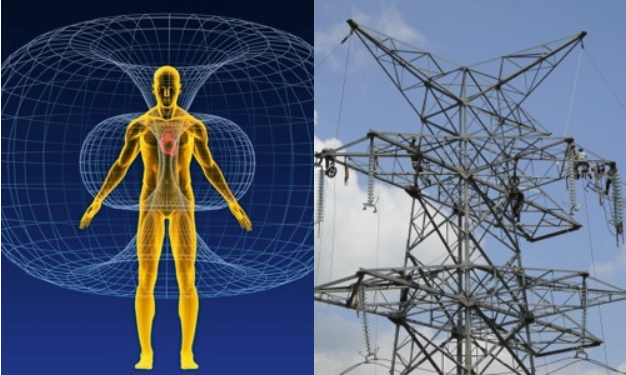 Electromagnetic fields have been show to cause or contribute to conditions such as: Cancer, Autism, Diabetes, Sleeplessness, Leukemia, Alzheimer’s disease, sperm damage, and much more. Children are especially susceptible to the effect because of their smaller size, rapid growth, and because their tissues are not yet fully formed. EMF’s exposure during pregnancy is of special concern. Pregnant women working at computers with the contact current from the keyboard flowing through their stomachs, working as checkers in stores, sleeping close to smart meters, or wifi are very acceptable to birth defects or miscarriages. Biological effects depend on the duration and intensity of exposure, as well as frequency of the electromagnetic field. There have been over 6,000 published scientific studies on the health effects of microwave radiation since the 1930’s with the vast majority have shown that there is some biological damage being done. Any communication device that is not attached to the wall by a wire is emitting radiation. The fields are amplified and concentrated in into the bodies tissues with things like under wire bras with metal wires, metal-framed glasses, metal chairs, metal bed fames, and coil springs in furniture. These are just some examples of items that can cause cancer and other health effects. Some refer to this pollution as “Electrosmog” because it is known to kill birds, bees, and mankind. Am I exposed to high levels of EMF’s? What types of EMF’s are present in my personal environment and work environment? At these locations when and where are these levels high? What is the true source of these fields? Are they what I thought they were? Do I feel the effects of electromagnetic fields? If I do not feel the effects am I safe to expose myself? Can I help reduce EMF’s through shielding? There is no single, universally accepted answer. World wide official exposure standards vary widely. To further complicate the problem some people are more sensitive than others. Some seem acutely attuned to what others can’t see, touch, or feel. About 3 to 5 % of the population. Length of exposure and type of exposure play an important role as well. Very often how long you’re exposed means more to your health than the actual strength of the electrical, magnetic, or RF field. Here are some current set standards. Electropollution is colorless, invisible, and odorless. Likely it’s probably enveloping you while I speak. You are affected 24/7 by an unprecedented number of wavelengths and frequencies. By some estimates, we’re exposed daily to as much as one hundred million times more electromagnetic radiation than our grandparents were. Wave/Wavelength: Electricity is delivered to our homes in alternating current (AC), which means that the electrical charge that flows through the wires periodically reverses direction (Cycle), and it’s usually shows as an undulating wave, called a sine wave. Wavelength is the measurement of the distance between two peaks of the wave. Gauss: This is the measurement unit for magnetic fields. Most prudent scientists today recommend that safe exposure for humans to AC magnetic fields is 1 milliGauss (mG), or less at any single exposure, though other agencies recommend 2 to 3 mG. The earth’s magnetic field measures about 0.5 mG.
Hertz: This is a newer term for cycles per second that was awarded to Heinrich Hertz, an early researcher in electromagnetism. The electricity that comes into U.S. homes is 60 Hertz (Hz). Our brainwaves can even be measured in Hertz. For instance, when you are asleep, your brain hums at 1 Hz, or one cycle per second. When you’re thinking, whether it is problem solving or being creative, it revs up to as much as 40 Hz. Extremely Low Frequency Electromagnetic Fields (ELF): These are the electromagnetic fields in the frequency range of 1 to 30 Hz. Our entire electrical power system and our appliances produce 60 Hz magnetic and electric fields. These fields are a form of nonionizing radiation, which won’t detach electrons from atoms or molecules. Only ionizing radiation or energy from radioactive substances and cosmic rays are thought to do that: The X-ray you had at the dentist’s office and the CAT scan (which uses X-rays) that found your kidney stone both emit ionizing radiation. Radio Frequency (RF) Field: Another form of nonionizing radiation, these high frequency EMF’s are generated by the equipment that transmits wireless signals, such as cell towers, broadcast towers at your local radio or TV stations, and the equipment that receive those signals. Your cell and cordless phone. Wireless operates in the microwave band of radio frequency radiation. Microwave Power Density: Health effects vs. safety standards: From Peer-reviewed published science, Radiation testing results, and Public standards in micro-watt centimeter squared. 0.0000000002 micro-watts centimeter squared, minimum for cell phones to work. 0.000027 micro-watts centimeter squared, caused the premature aging of pine needles. 0.05 micro-watts centimeter square, It is known that short-term exposure to children ages 8-17 can experience headache, irritation, concentration difficulties, and behavioral problems. 1.0 micro-watts centimeter squared, Laptop Wi-Fi bring about sperm DNA fragmentation & decrease in sperm viability in vetro: Also at this level headaches, dizziness, irritability, fatigue, weakness, insomnia, chest pain, difficulty breathing, and indigestion. 2.5 micro-watts centimeter squared, this Alters calcium metabolism in heart muscle cells. 4.0 micro-watts centimeter squared, Brings about changes in hippocampus affecting brain memory and learning. 6.0 micro-watts centimeter squared, causes DNA damage in cells. 7.93 micro-watts centimeter squared, was measured from a single smart meter. 9.5 micro-watts centimeter squared, the set safety standards for Switzerland, Liechtenstein, and Luxembourg. 10.0 micro-watts centimeter squared, the set safety standards for China, Poland, and Russia. At these levels changes in behavior are altered, reflexes of avoidance after (30-minute exposure). An apartment of 12 smart meters was measured at 19.8 micro-watts centimeter squared. 600-1000 micro-watts centimeter squared, set safety standards for Canada and the United States. Most computers plugged into the wall are putting out somewhere between 12.5 kHz and 25 kHz of dirty electricity. This is within the biologically active range of 4 khz-100 kHz. 25% if you are exposed to above 2000 GS unites. 15% if you are exposed to above 1000 GS unites. Cordless phones whose base stations radiates in an always on mode, using 2.4 GHz of 1.8 GHz DECT technology according to the BioInitiative Report, when used predominantly on the same side of the head for 10 years increases the risk of malignant glioma (brain tumor) by 470%. Many thanks to Bill Laughing Bear for providing this information, and to you Gary Walton for posting it!!! I am currently in a major battle with my electricity provider because THEY are trying to install smart meters throughout their designated territory. Their BIG CONSPIRACY is that the State Of Pennsylvania has made it mandatory to have ‘smart’ (read DUMB) Meters installed by all large electricity companies. So there is most definitely collusion between these criminal corporations AND equally criminal governments throughout the land. After repeatedly ignoring legitimately independent research information which I sent them which proves the health hazards of smart meters, along with my smart meter opt-out notice, THEY stopped communicating with me. Hopefully this is a sign that the chief honchos at West Penn Power, et al, have started doing their own research instead of simply taking the word of Smart Meter Manufacturers (whose primary interest is in selling lots of meters and making tons and tons of money) that “smart meters have been proven to be safe,” WHICH IS A BLATANT LIE!!! I have dozens and dozens of pages of information that I sent via certified mail to the corporate leaders of WPP. I’m hoping this is enough to put a halt to the ‘smart’ meter madness. This reminds me of when they pushed cigarettes as safe. They were doctor "endorsed". Look at the hell it unleashed, not to mention the loss of life.